Gorgeous Augusta Model 3 bedroom 3.5 bath single family home, in the highly desirable Tradition Cove. 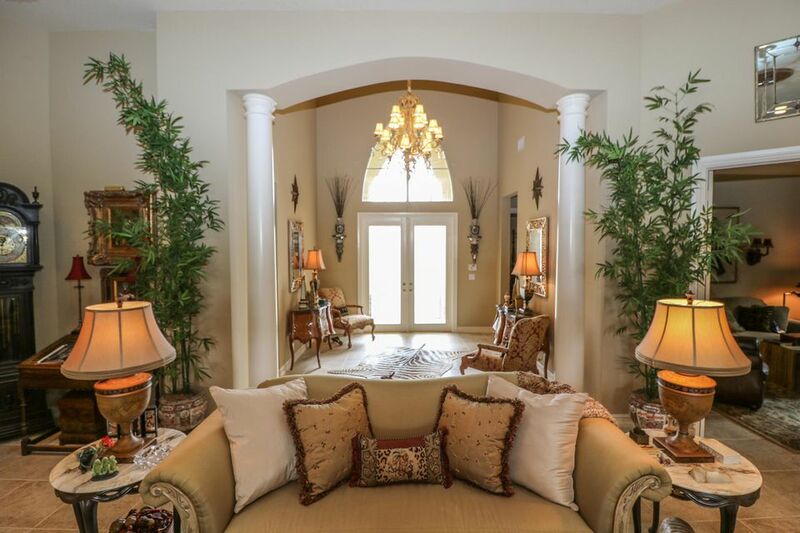 Beautiful architecturally designed floor plan, features a welcoming foyer with stunning columns, extensive molding throughout, elevated ceilings and an open gourmet kitchen. 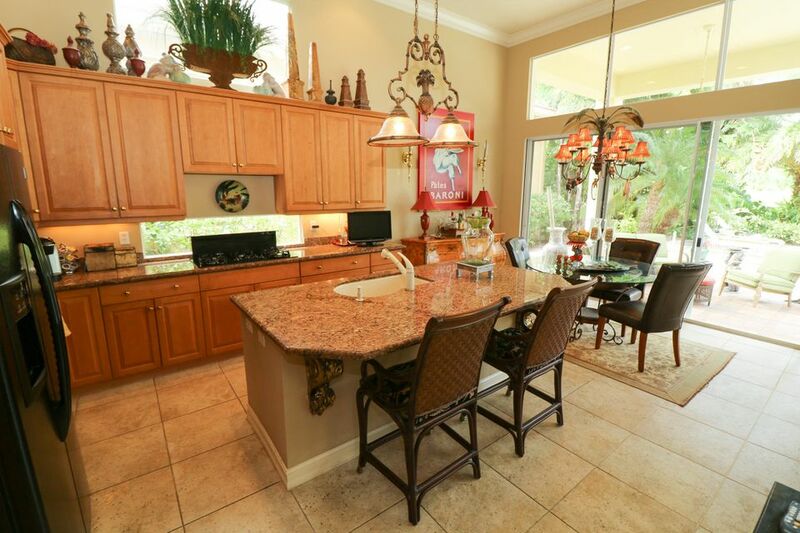 Kitchen includes granite countertops, updated appliances, large island. 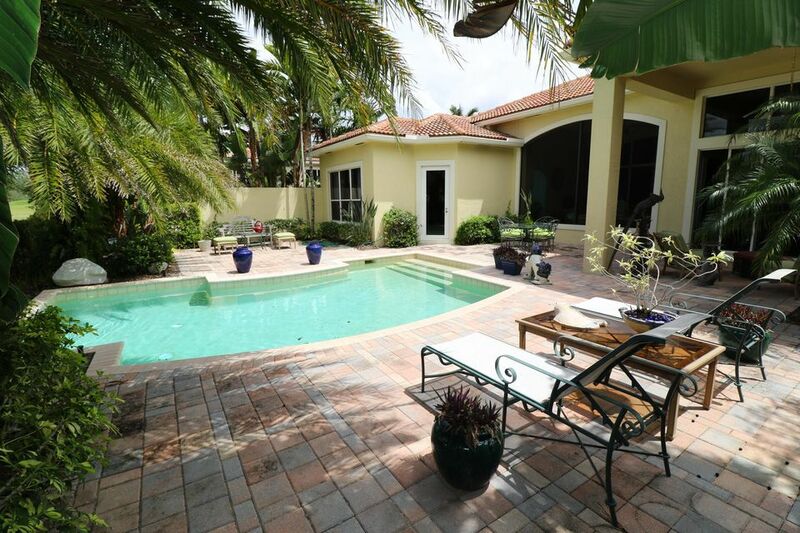 This home offers an oversized pool and patio area, great for entertaining. 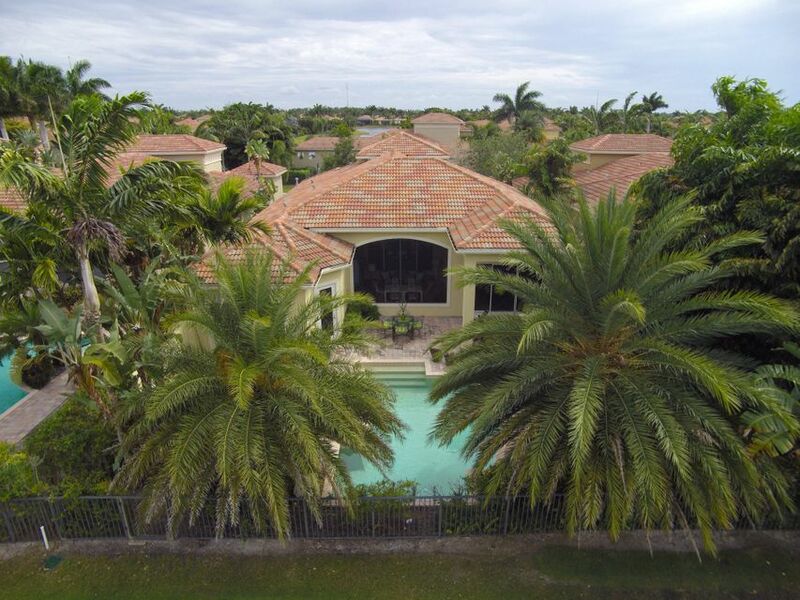 Located in a cul-de-sac, promising unsurpassed privacy, for exceptional Florida living. New HVAC system. Tradition Cove golf course view (9th hole). 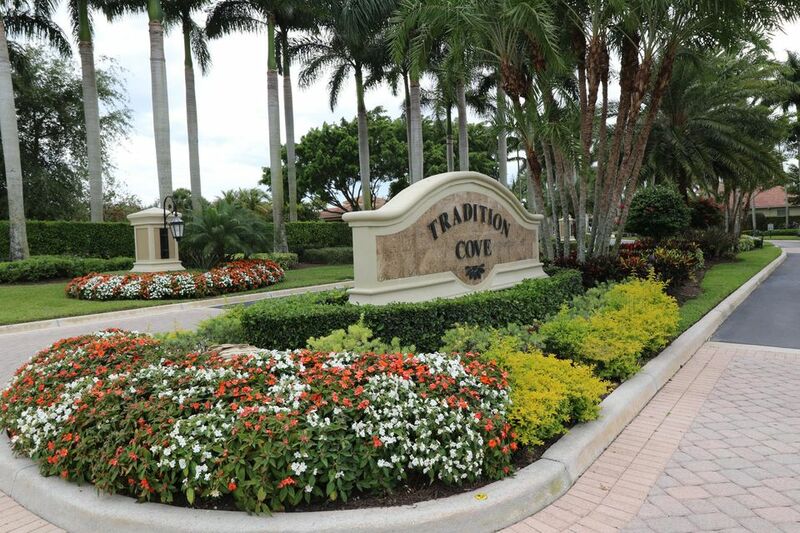 Hi Amanda, I'm interested in more information on 7211 Tradition Cove Ln W, West Palm Beach . Ibis Golf and Country Club allows pets, but has restrictions. 7211 Tradition Cove Ln W.
The adorable home at 7211 Tradition Cove Ln W, West Palm Beach in Palm Beach County is a good locale. 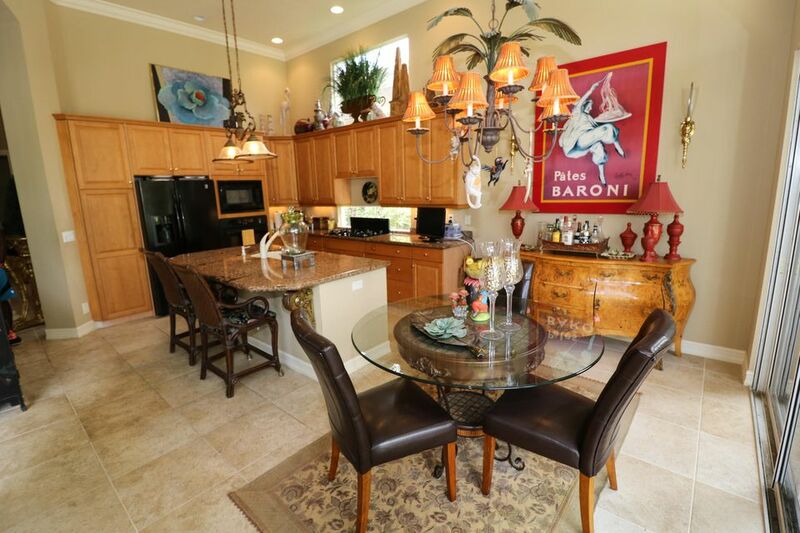 Constructed in 2006, the home is within the Ibis Golf and Country Club neighborhood. The property offers 3 bedrooms and 3.1 bathrooms. The 3,107 squarefoot home is classified as a RESIDENTIAL: SINGLE FAMILY. 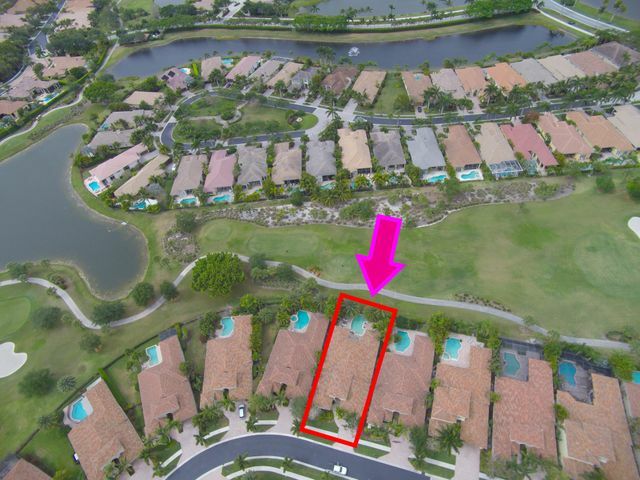 If you have been searching for a house in Ibis Golf and Country Club West Palm Beach FL for sale, this property is a great example. The residence is zoned for Pierce Hammock Elementary School, which is an A rated school. The middle school is Western Pines Community Middle, which has an A-rating, and the high school is the A-graded Seminole Ridge Community High School. 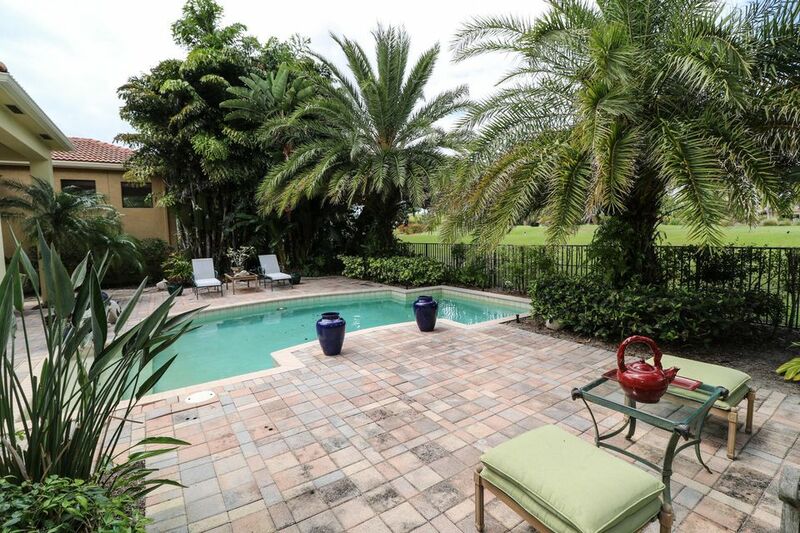 Play golf and live in a home that has been completely renovated. New roof, Impact glass throughout, new tile floors, new kitchen cabinets with new appliances,epoxy paint garage floor,new landscaping with lighting and irrigation, new lights in atrium and patio. Wall unit in Great room is perfect for a large flat screen TV. 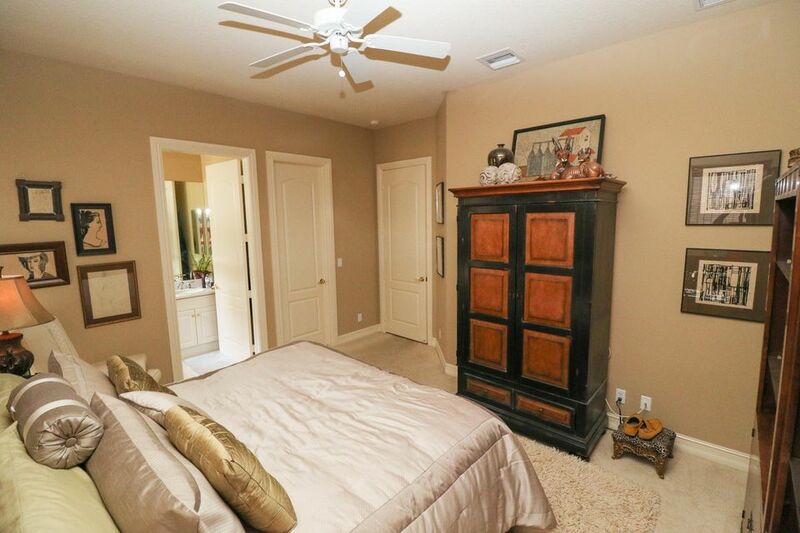 Hurricane garage door, whole house charcoal filter, central vac, Murphy bed in Den, electric shades, large screened patio with new screening, extra fridge in garage,new floors in baths and bedrooms, new counters in baths. Quartz counter in kitchen, new cabinets- sleek tones of grey, black and white.Available furnished and truly ready for the buyer who wants to live the Ibis lifestyle from the first day he moves in. Any membership can be purchased with this home. Southern Homes masterpiece re-imagined in a chic and fun Florida style. 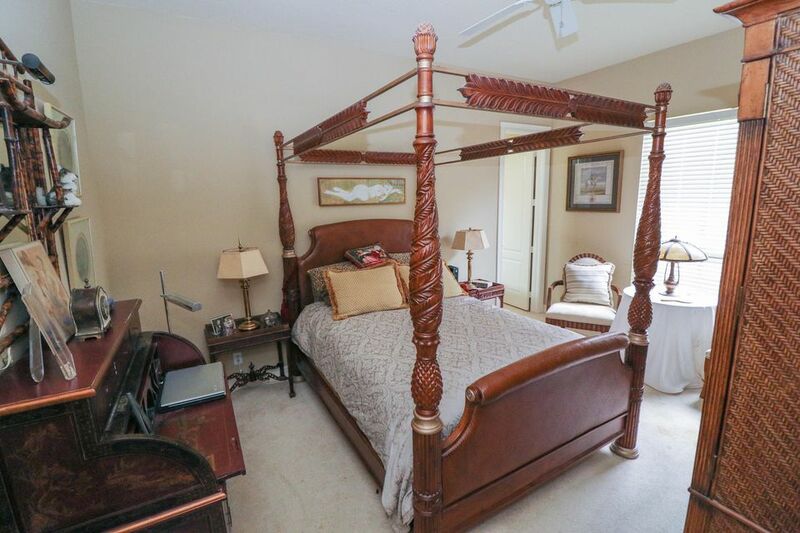 Upgraded 3BR/4.5BA+Den+Billiard Room 'Renaissance.' 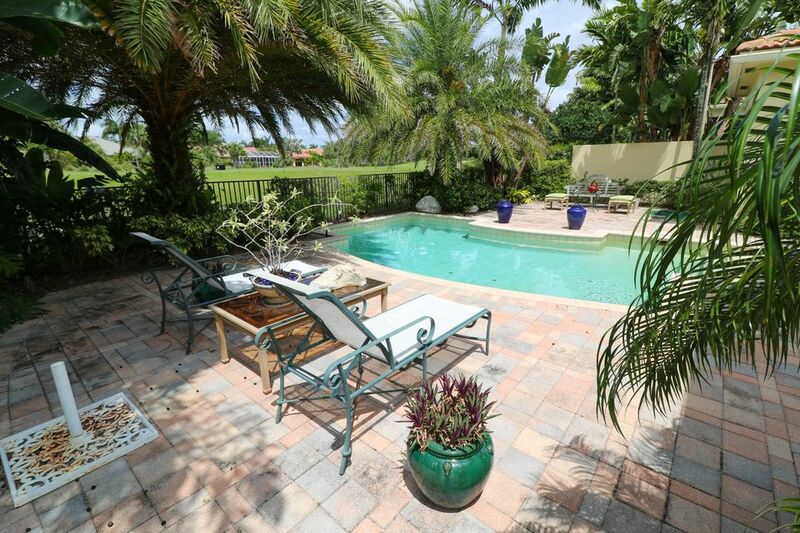 With a premium water and golf lot, circular drive and new marble pool deck and re-done salt water pool. new grass and outdoor lighting. 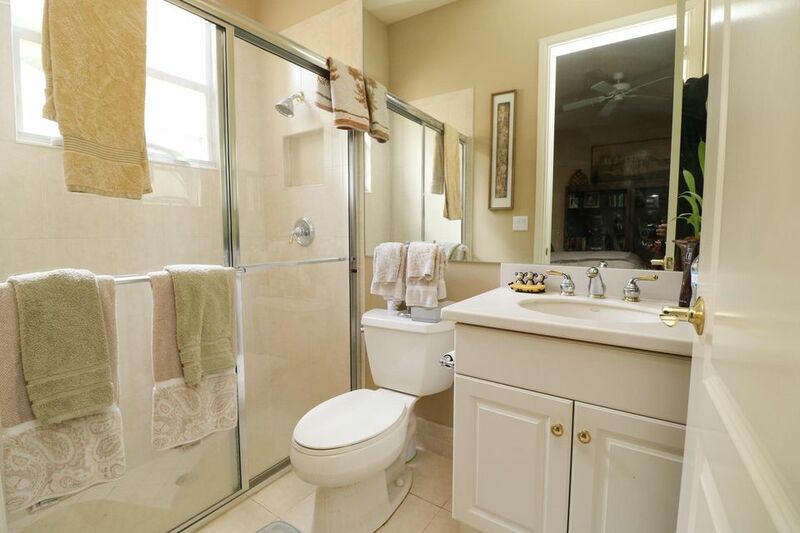 Generator, wifi-controlled AC, Impact Glass, upgraded stainless appliances, moldings, Saturnia throughout. 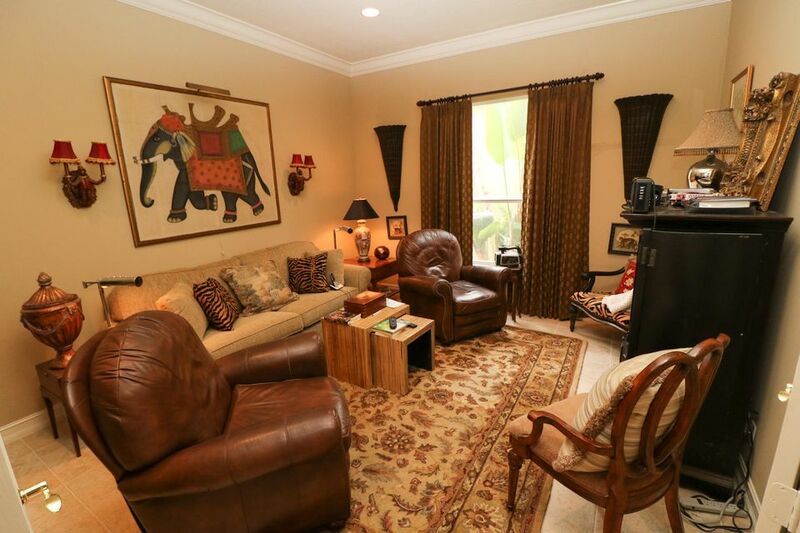 The family room was extended by converting the fourth bedroom into a billiard room, which is perfect for entertaining and casual Florida living. New summer kitchen, new designer window treatments and fixtures throughout, recently painted, new expoxy floor in garage. The grand pool and spa area overlooks serene water and golf views, east. Custom moldings, stainless appliances, granite with Ogee edge. Walking distance to the club. Beautiful high end remodeled home!! with spectacular panoramic views to lake! 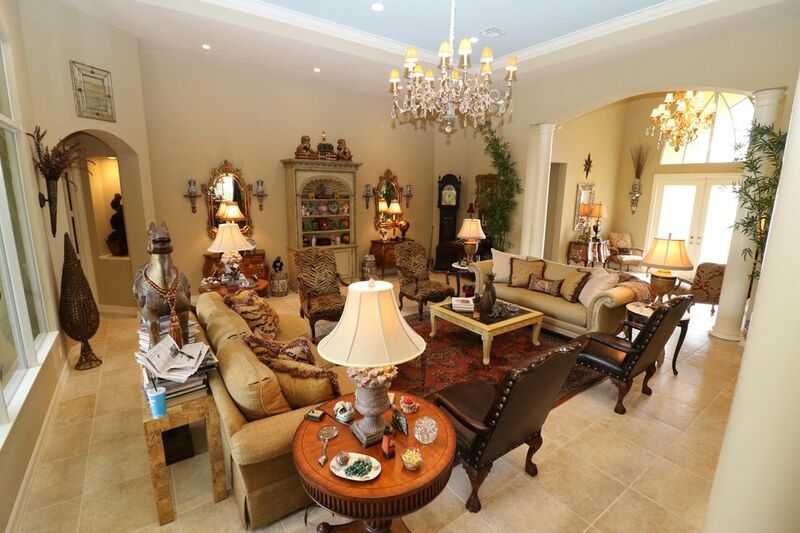 Come and see this Fabulous layout with all the right spaces! Elegance, Privacy and sophistication! Wake up each morning to inspiring sunrises and drift off to sleep each night with the tranquil sounds of nature. Situated in a friendly community this home Features 3 Bedroom 2 baths Master bedrooms with walking closet! High quality italian kitchen cabinets and bathrooms Everything and more that you will need! Huge deck off with spa in the back of home to enjoy!All Ibis buyers must purchase at least a social membership plus annual dues that buyer is willing to contribute. 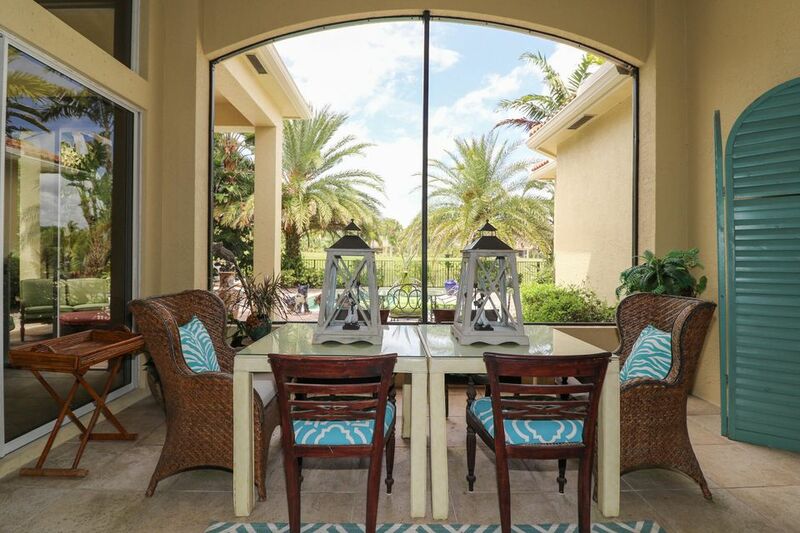 Incredibly priced upgraded and move-in perfect ''Alaina'' model with water views in Blue Heron Bay! Enjoy one of Ibis's most popular models on a lovely, bright, water lot. This 3BR/3BA+Den boasts a large back yard with pool and spa, new stainless appliances in kitchen, soaring ceilings and large rooms. Recently re-done in a sophisticated palette of grays, this home offers a wonderful opportunity to enjoy the best of Blue Heron and Ibis. Unbelievable price for this gorgeous ''Briarwood'' model with tons of upgrades. Accordion Hurricane Shutters! Saturnia marble floors throughout main living areas downstairs. Renovated kitchen with two-toned cabinets, stainless appliances, granite countertops, and under cabinet lighting. This home is very neutral and bright and an amazing steal! Custom window treatments. First floor master bedroom suite with closet built-ins and whirlpool tub. Two guest bedrooms, bath, and huge open loft upstairs. Large screened patio with heated pool. Gas line for grill. Lots of lush landscaping...very private! Must see to believe! Wonderful value for this 3BR/2BA home which is in pristine condition. Live in one of Florida's premier communities for just a bit over $200,000 including the membership.. 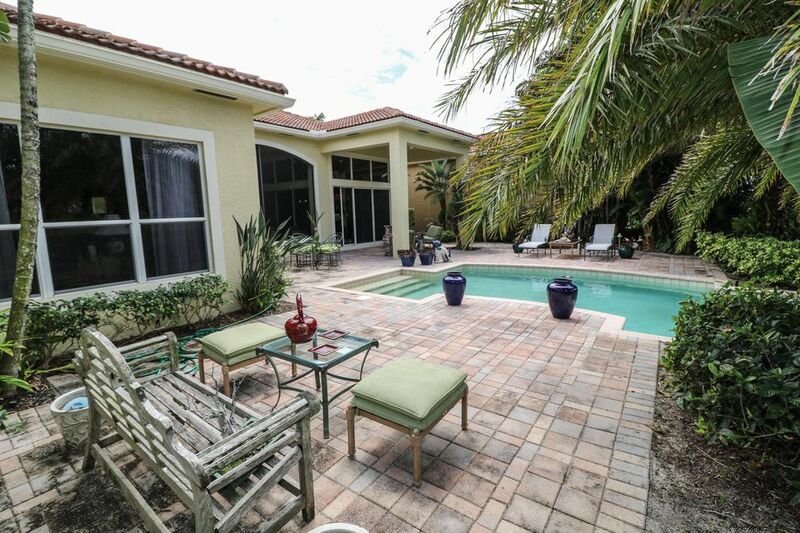 Situated close to a cul de sac, this home has a large screened lanai with lots of privacy. Granite counters,new microwave, stove, washer and dryer,stainless appliances, steam shower in master, central vac,pavers leading to the back of the house are just some of the upgrades in this adorable home. Beautiful sunsets and proximity to the entrance of Ibis are just some of the positives of this home. Please consider this home if you are looking for a wonderful home at a great price. Beautiful move in perfect great room home with IMPACT GLASS and water views! Upgraded tile floor on the diagonal throughout house. Huge open kitchen with tons of cabinetry, granite countertops, 2 separate sinks, stainless appliances, pull-outs, and natural gas cooktop. Great room has gorgeous wood built-in w/ gas fireplace and storage. 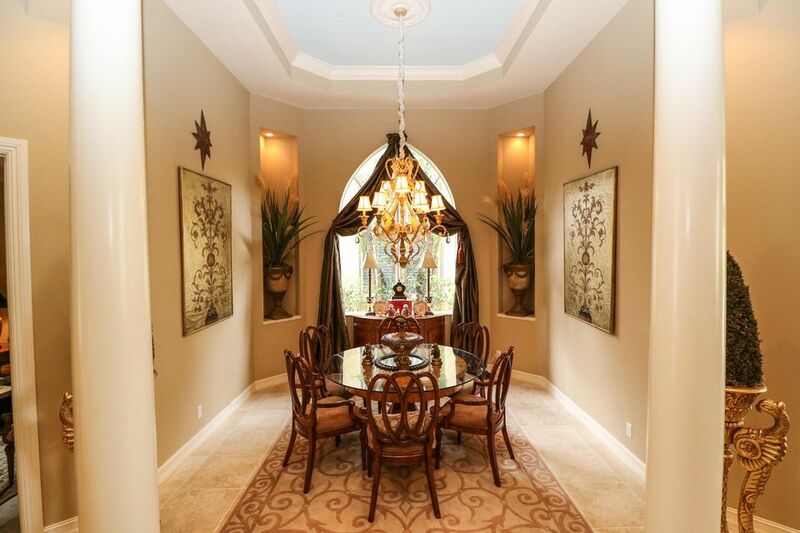 Formal dining room with attached atrium provides tons of natural light. Den has double glass doors. 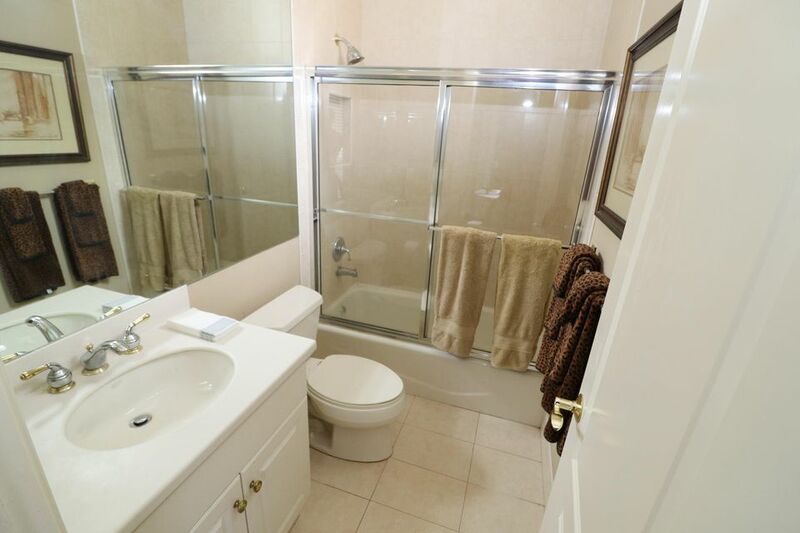 Both guest bedrooms are huge and have private baths. Extra powder room for guests. 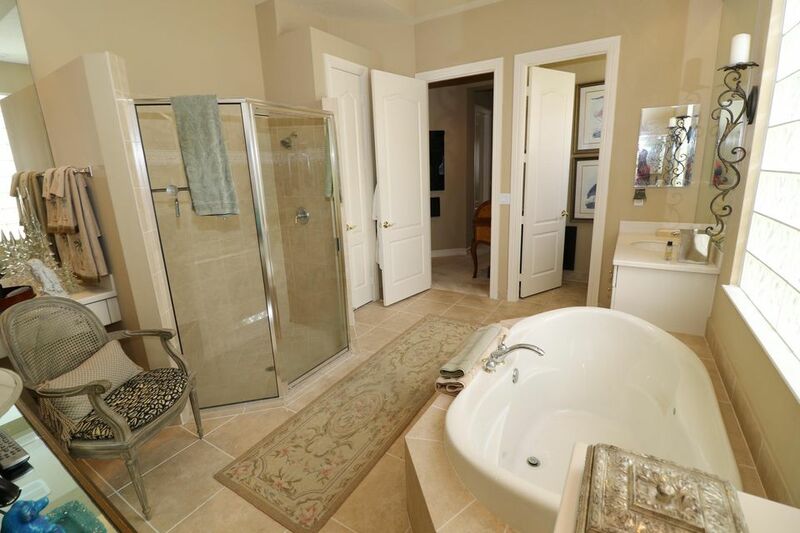 Master bedroom has HIS/HER baths! Lovely window treatments and neutral colors. 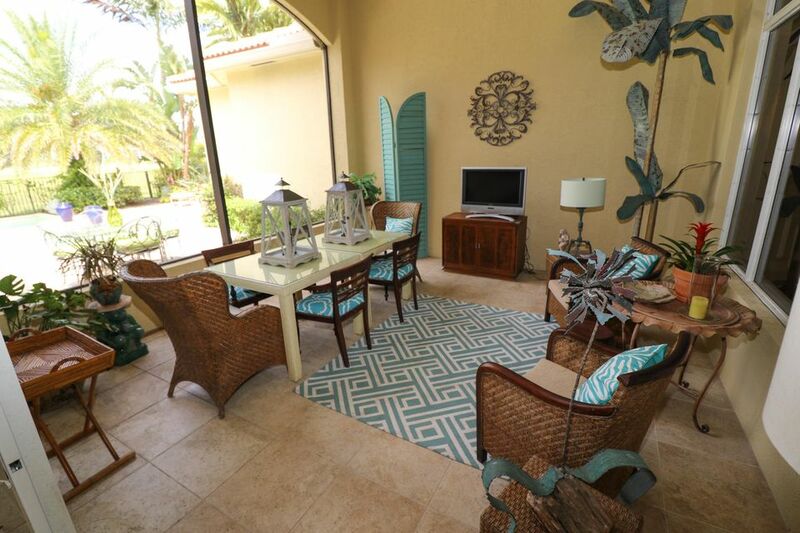 Spacious patio with heated pool/spa overlooking peaceful water views. Truly a move in perfect home. 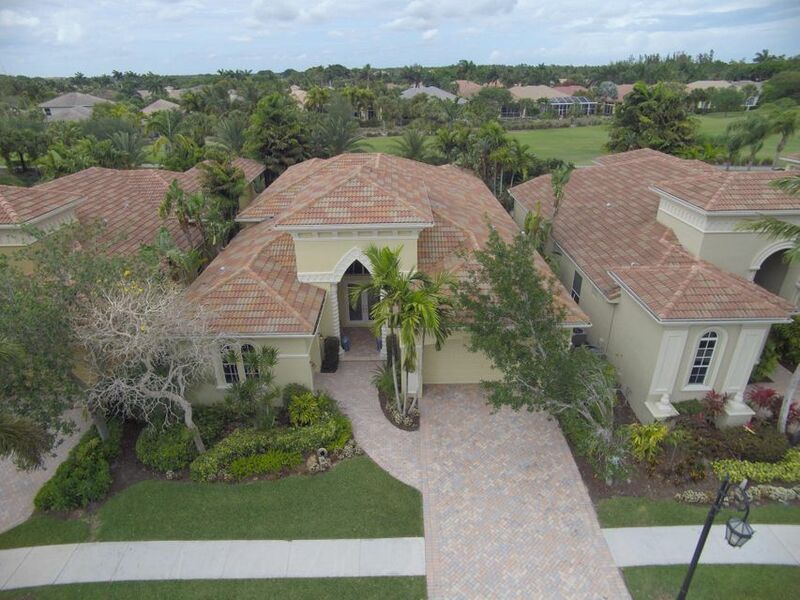 Overlooking the 12th hole of the Nicklaus designed Legend Golf Course at The Club at Ibis is this highly upgraded 3BR/3.5BA plus Study home with gorgeous golf and lake views! This one story estate home was built by Dreamstar Custom Homes and has a large screen enclosed patio with heated spa and summer kitchen to relax and enjoy with friends and family. Inside the house there is over 3,500 square feet of living space with loads of quality upgrades including 24X24 marble flooring, hurricane impact glass throughout, built-in desk and lots of shelving in the study, custom Palm Beach mahogany front doors in the living room, study and master bedroom. The steam shower in the master bathroom, large his/her closets and multiple crown moldings are also indicative of the fine quality throughout! Magnificent estate home in prestigous Ibis Golf and Country Club. New roof, new circular driveway, new landscaping, refinished pool, freshly painted inside and out. Marble flooring, crown molding, gourmet kitchen with double wall oven and 6 burner gas range, home theater with 102'' screen and stadium seating, wet bar and wine chiller. Elegant, move-in ready home! Updated home on one of Quail Meadow's best lots! 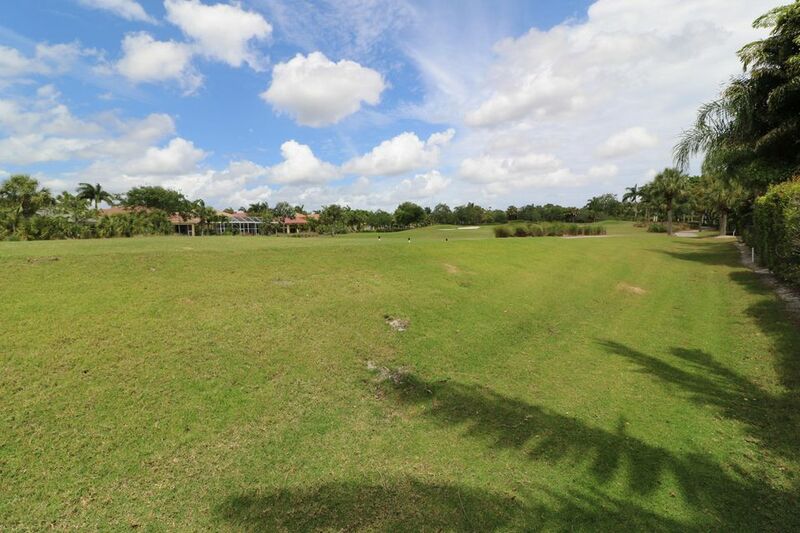 Fabulous panoramic golf lot with large, newer, screened enclosure overlooking wide golf course views. Updated and upgraded tile flooring, granite tops, stainless appliances in kitchen, remodeled baths, upgraded cabinetry and extensive designer touches and upgrades. Wonderful, large pool and spa. 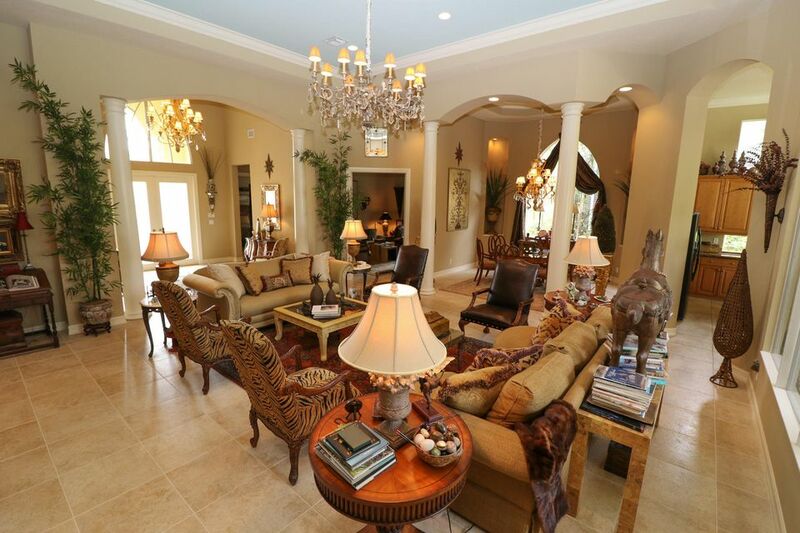 Move right in and walk to the club from this upgraded home on a premium lot. VERY WELL KEPT CONDO 2/2 WITH BRAND NEW ROOF AND A/C UNIT. LARGE SCREENED-IN PATIO AREA. PRICE INCLUDES ALL THE FURNITURE EXCEPT FOR THE FRONT BENCH. MINIMUM OF A TENNIS MEMBERSHIP IS REQURIED ON THIS UNIT ($55000). Long dramatic water and golf views from this large lot in Monte Verde. 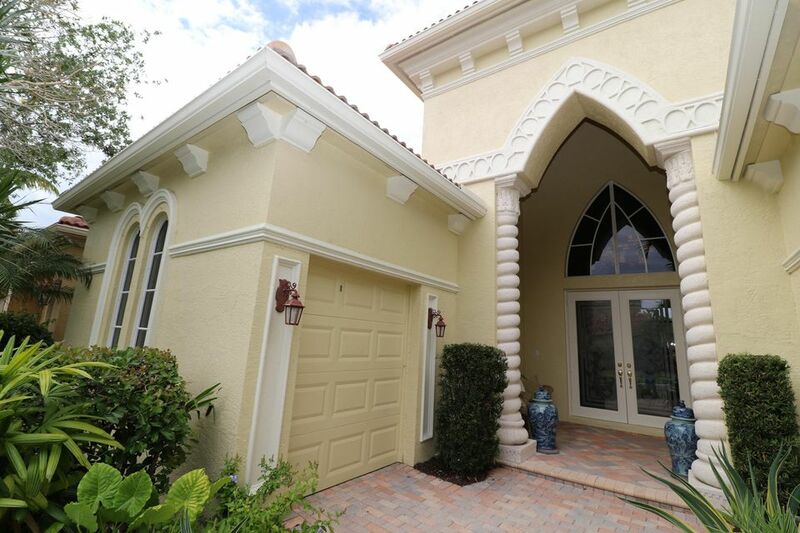 Impressive curb appeal and dramatic soaring ceilings will wow the most discriminating buyer. With 5BR/4BA, this home with a premium lot is designed with serene and warm tones. Marble floors throughout, granite kitchen with new stainless appliances, wood floors in 5th BR/office, wood and wrought iron staircase with designer inlayed tiles, designer light fixtures and window treatments, tile extended from master bath into master bedroom hallway, closet built-ins, Aqualink system for pool and spa, electric awnings all for shade. 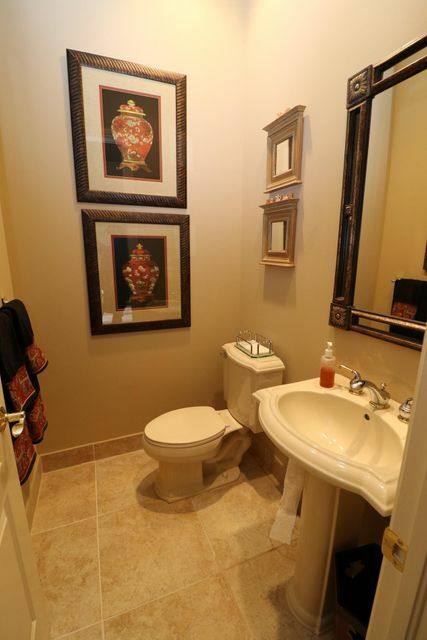 With over 3500 square feet, this home offers excellent value and generous upgrades. Qualilty throughout. Great Cul-de-sac location with very private yard. Den with built in desk and wall unit. 2 car garage and golf cart area. Kitchen with stainless steel appliances and granite counters. Brand New Model and the pride of the neighborhood. Available totally furnished and professionally decorated to the highest standards. Check out the pictures and the video supplied to show off this amazing model. Impact Glass windows and doors! New travertine pool deck! New fully screened enclosure! This upgraded and spacious home boasts 3BR/3BA and a private, long view of open yard--perfect for the buyer who wants privacy and lovely vistas. Custom bar with three Perlick refrigerators (two are wine refrigerators; one is a beverage fridge.) 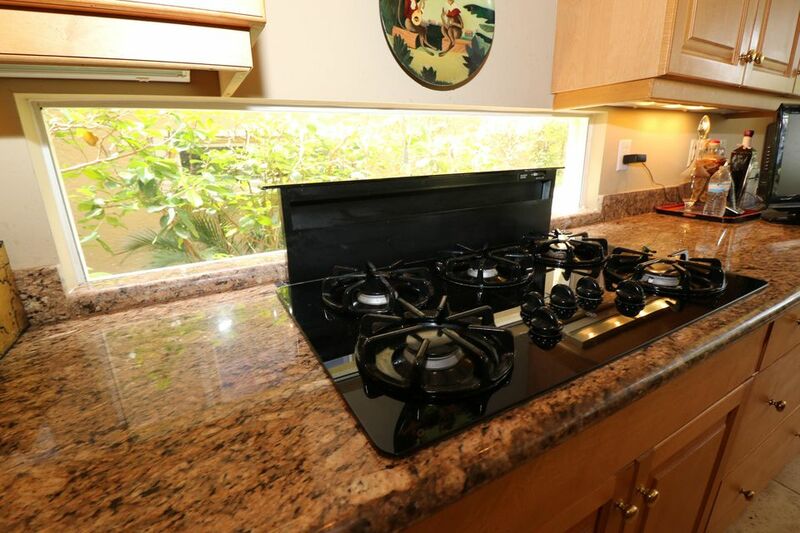 Open kitchen with granite tops, solid core doors, HVAC is 5 years old (5 year warranty for parts and labor remaining.) Upgraded and updated salt water pool equipment. Neutral, spa-like tones, designer fixtures, solid-core doors, soaring ceilings, water heater replaced in 2016. Built-in shelves in master bedroom. Move-in perfect, highly upgraded with well over $100,000 in improvements. This charming Avalon model with a wonderful SE exposure in back has 3 bedrooms/ 2 baths and a serene lake view. With its beautiful wrought iron gate entrance, closeness to the community pool and easy access to the entrance of Ibis, it has both wonderful curb appeal and a sought after private lake view. Great room floor plan, central vacuum, knockdown textured walls with extensive crown molding, recessed lighting, stunning light fixtures and more. 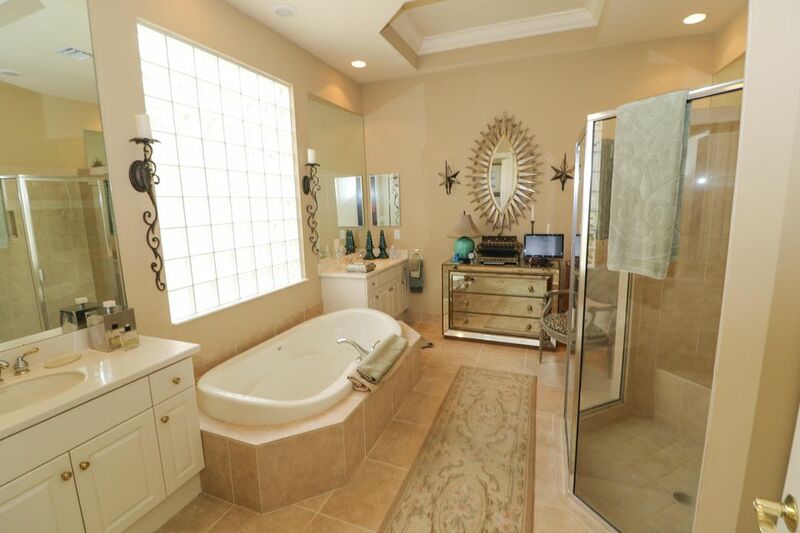 Master bedroom looks out to a gorgeous peaceful lake and master bathroom has a large sunk in tub. 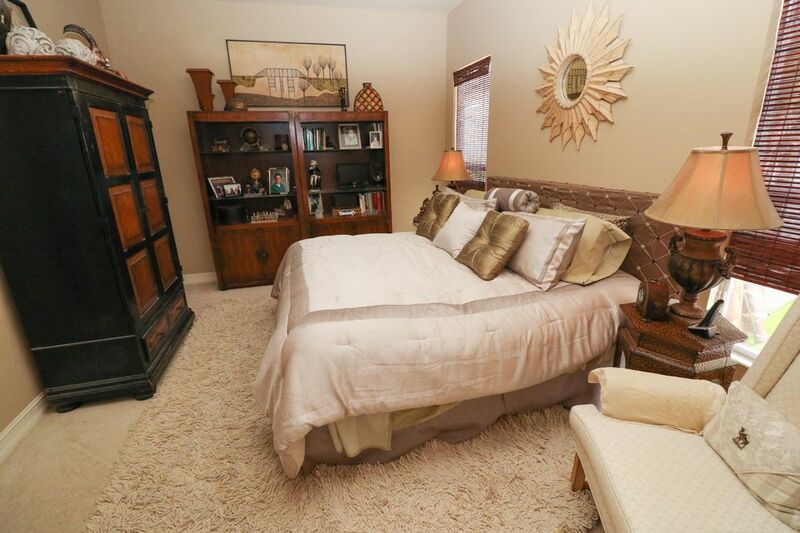 Two guest bedrooms have Brazilian hardwood flooring. The enclosed lanai has peaceful natural surroundings with a perfect view.This Ibis home has so much to offer at an incredible asking price. Lovely 3 bedroom open concept home in the Grande on nicely landscaped private garden lot with accordion hurricane shutters. Foyer has coffered ceilings, 12' ceilings in main living area, decorative crown molding and upgraded flooring on the diagonal. The great room model home features a separate dining room, large open gourmet kitchen, upgraded cabinets, granite counter tops, high end appliances. 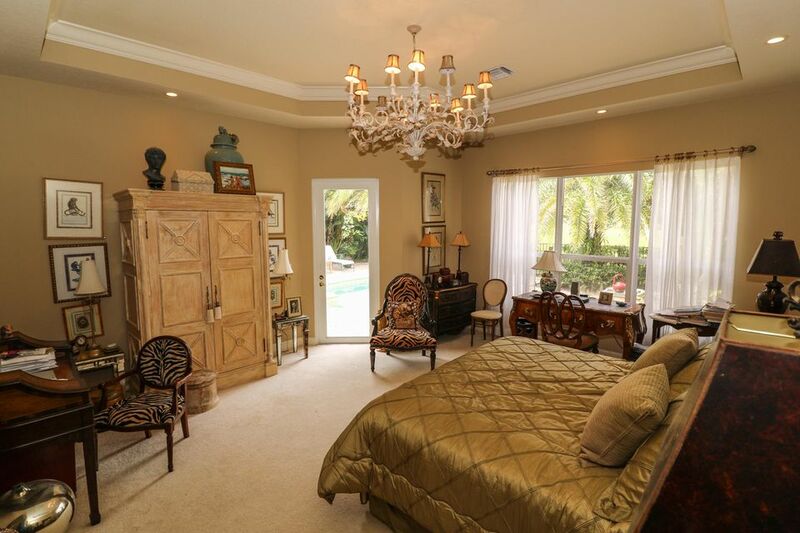 The master bedroom has a garden view with 2 walk in closets and whirlpool tub. Two guest bedrooms, one with a built in desk and custom bookshelves. Private backyard with garden view with a quiet sitting area. Fantastic price for this charming 2 bedroom plus den villa in Ibis. Open, bright layout! 2 car garage. Community pool. Must purchase social membership $50,000. Buying or selling a home in West Palm Beach? Get in touch for expert advice, pricing, showings, and more. IDX information regarding 7211 Tradition Cove Ln W and a house in Ibis Golf and Country Club West Palm Beach FL for sale is provided exclusively for consumer's personal, non-commercial use. It may not be used for any purpose other than to identify prospective properties consumers may be interested in purchasing, and the data is deemed reliable but is not guaranteed accurate. All listings featuring the BMLS logo are provided by BeachesMLS Inc. This information is not verified for authenticity or accuracy and is not guaranteed. © Copyright 2013 Beaches Multiple Listing Service, Inc. 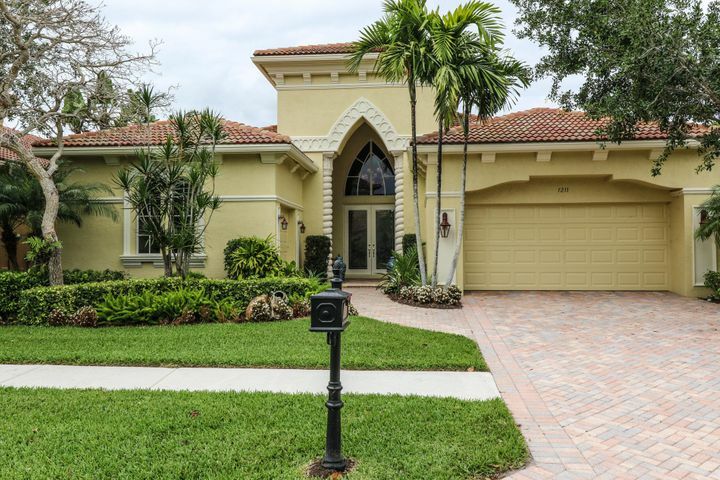 Unless otherwise noted, all property information regarding a West Palm Beach FL home for sale and a house in Ibis Golf and Country Club West Palm Beach FL for sale is obtained from public records and/or provided by MVRealty. Information regarding West Palm Beach homes for sale and homes in on MadValorem.com is provided exclusively for consumer's personal, non-commercial use; it may not be used for any purpose other than to identify prospective properties consumers may be interested in purchasing, and the data is deemed reliable but is not guaranteed accurate. Unless otherwise noted, all information regarding West Palm Beachhomes for sale and homes in on MadValorem.com is obtained from public records and information provided by users of MadValorem.com.